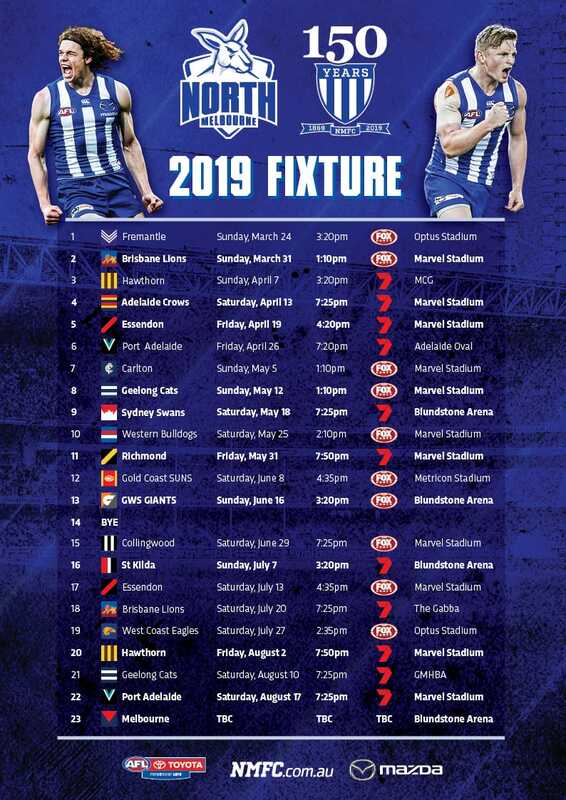 When Brad Scott announced North Melbourne would select Will Walker with pick 23 in last year’s National Draft, it came as somewhat of a surprise to some. Eight months later, the 19-year-old is set follow in the footsteps of Laurie Dwyer and Keith Greig by donning the famous number 27 guernsey. For Walker, the journey to AFL football has been like no other. That’s because his main focus growing up was not just on the Sherrin, but also the round ball. “Will was balancing football and soccer for a long time, but it got to a point where it became impossible to do both,” North’s National Recruiting Manager Mark Finnigan told North Media in the lead-up to Walker’s debut. Walker was rarely mentioned in the conversations surrounding the potential top 30 picks in the lead-up to 2017 National Draft, but North’s staff could see the untapped potential in the Sandringham Dragon. “You could see signs of his athleticism and skill set, but he was raw and he would be a work in progress,” Finnigan admitted. “There were some ups and downs along the way, but it got to a point where there were more ups than downs. “His soccer background definitely helps him. His agility is very good, he’s able to get through traffic and is a strong lateral mover which helps him get out of the contest. 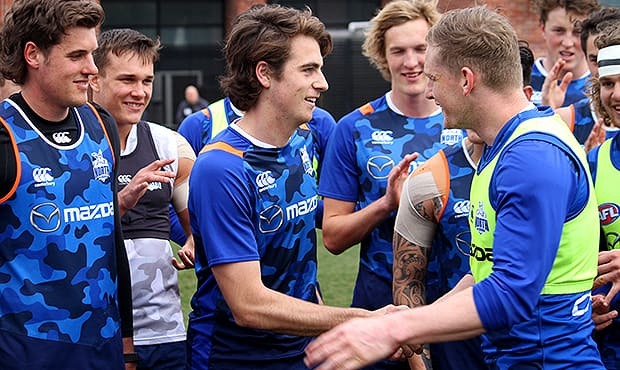 While the Roos’ recruiters were excited by Walker’s potential, not even they could predict he’d be getting his chance in the royal blue and white so early in his career. “We thought he may take some time, but his skill set has allowed him to develop under the club’s development coaches,” he said. “The work that they’ve done with him has been fantastic. “His kicking, in particular his ball drop needed some work because of his soccer background, but if you’ve watched him in the VFL this season, you can see the improvement. The development has been assisted by the club’s new VFL structure, led by David Loader, Gavin Brown and Ben Dyer. “I don’t think his development would have been this rapid without our own VFL system,” Finnigan added.